The art form’s folksy roots may cause many to shrug, or to think of it as something that isn’t an art form at all. But, all it takes is a concentrated look at some of the state’s most remarkable quilting work to inspire a shift in attitude. 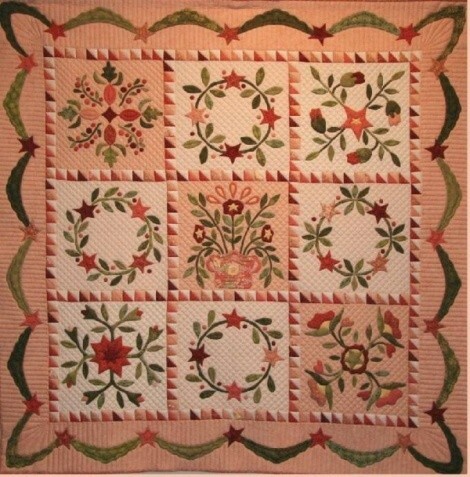 Last year, more than 7,000 visitors attended the Springville Museum of Art’s annual Quilt Show, and this year, more than 100 entries are expected from native or current Utah residents (Barbara Purser’s “Jean’s Friendship Garden” is pictured). Quilting novices and experts will compete for one of 17 jury awards, including “Best of Show,” “Director’s Award” and “Best Hand Quilting.” But, those who attend will be winners, too, as they see a practical skill turned into the kind of beauty worthy of a gallery wall—as well as cozying up with on a winter night.